My neighbor on one side have 2 apple trees. One dumps their load in our front yard all the time and are similar to granny apples. There other is similar toe red delicious ish.. So i decided to take some and see what i could do. 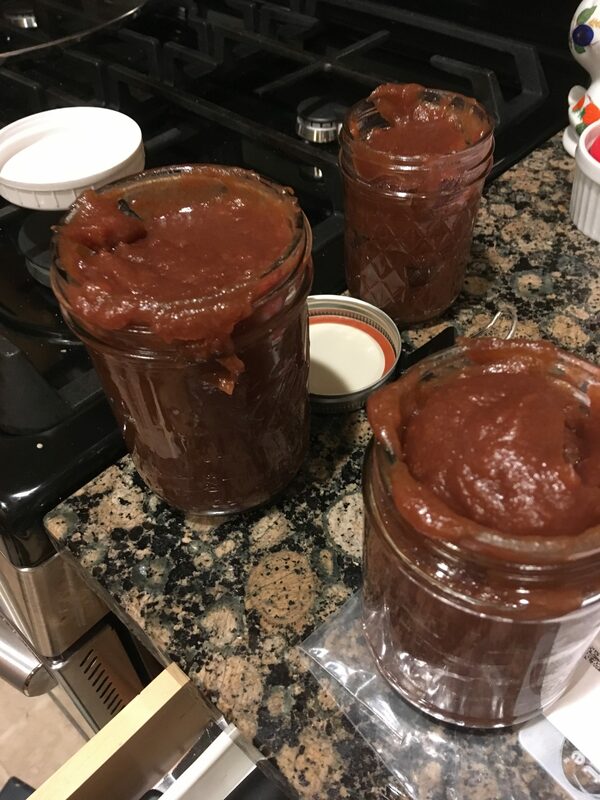 I found a recipe for apple butter, and being disillusioned that it would taste like butter, just had to do it! It took a good long while to peel all those apples. They are not grocery store size. 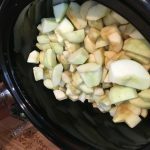 And i learned that my most amazing peeler ever – not so amazing on small round items, so back to the oxo for those (i didn’t really ponder that till after the 20 or so apples were peeled) Live and learn! 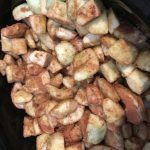 If you enjoy thick apple sauce, this is the recipe for you! 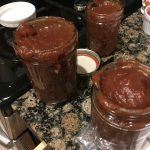 Found this delight thanks to Lizzy T (https://www.tastesoflizzyt.com/homemade-apple-butter/) Great way to create something wonderful! As is, this is not the type of thing for me. But check the next recipe where i use it in Cinnamon rolls – yum!